Less than a year after the launch of Le Quatrième's first phase, phase 2 is now for sale. 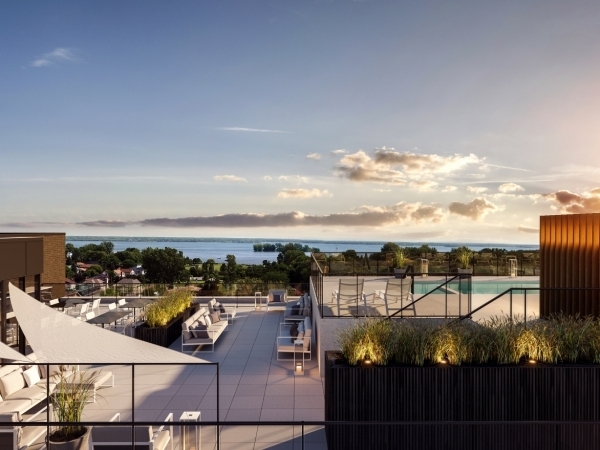 Located five minutes from the waterfront in Dorval, this six-storey complex offers 66 high-end 1, 2 or 3 bedroom units ranging from 610 to 1338 sq.ft. Each unit has one indoor parking space included in its base price. Conceived for comfort and tranquility, these luminous living spaces will surpass your expectations. 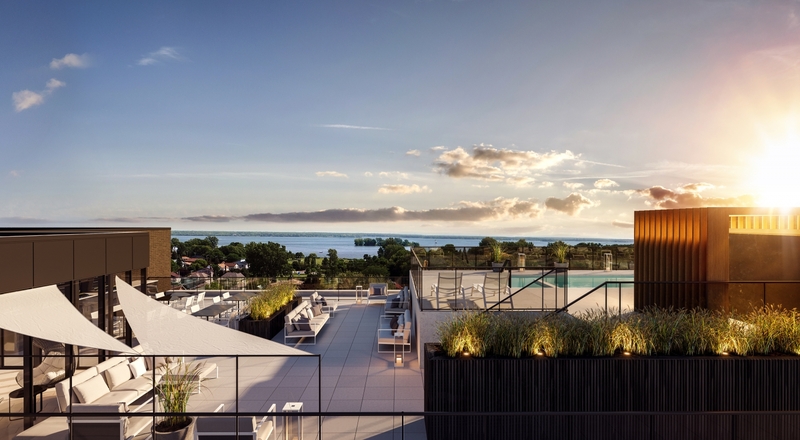 Our sportiest residents can take full advantage of the highly-equipped workout room and salt-water pool on the roof, which offers an inimitable view on Lac Saint-Louis. Finally, our four-season urban chalet on the top floor awaits for total relaxation. Located 15 minutes from downtown Montreal and a few steps from Sainte-Anne Academy, Le Quatrième is more than a place to live - it's a lifestyle. Delivery is planned for 2020. There are still a few units from phase 1 available for delivery in 2019. Come and see us! Hello, I would like to have more information about: Le Quatrième- condos - phase 2.